I had taken my boat to the shop for some maintenance and I got a call from RB BASS Angler Michael Coleman to go fishing on Sunday. 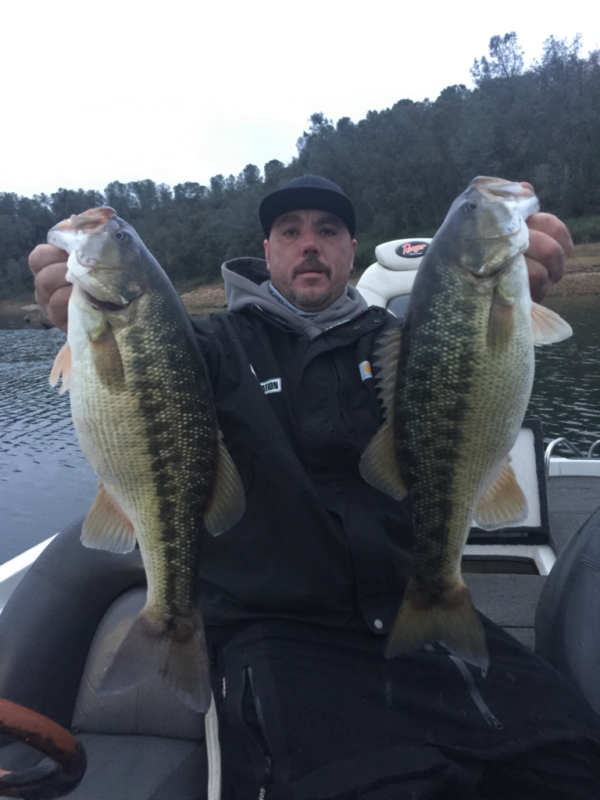 We discussed going up to Oroville , but its still a month before our events so we decided to stay on the Big Bite that’s been on Lake Camanche. We started off throwing Alabama Rigs on Bluff walls first thing in the morning, it was a little bit slow until Michael finally got a bite, its was a solid fish , but not the big ones that have been getting caught. Then a few fish decided to eat the A-rig but not the big ones. We moved to a few more Spots and I got a few A-Rig fish myself, but not the big ones like last week, in fact we were getting a lot of short bites, I think the weather provided a better chew session the day before, because it was a little stingy for us on the Better fish, so We moved up river a few short bites and Boom Michael got a good one a Spot in the 4 plus pound category. We keep slinging the A-rig and Boom my turn a decent fish, but not the big ones were after. We bounced from Spot to Spot , Point to Point and Bluff wall to Bluff wall, the bite was slowing and we started mixing bottom baits, and quickly we had action. Michael was getting Craw bait bites , but no big fish. I picked off a Senko fish, but not a big one, but a solid spotted bass. Michael was relentless throwing the A-Rig 90% of the day. We decided to go out to the main body and fish big flats off shore, Michael continued to sling the A-Rig , Since I was the back seeter I put down the A-rig and changed to the drop shot, this resulted in quick action on a School of Largemouth up to 3lbs, no big ones but very solid fish. Fish were holding in 12-16ft on these big offshore flats. The bite was very touchy and the bites were vey light, many fish were coming off at the boat and we noticed the fish we landed were just skin hooked. We milked this for a while catching a good mix of Spotted Bass and Largemouth Bass, but only up to 3lbers. We made another move to some deeper flats. Michael A-rigged 3 more fish, but all clones. 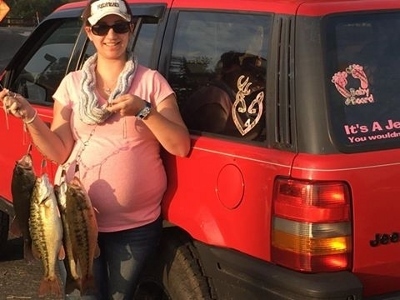 I noticed the fish grouping up in 22ft so I would drop down on them from the back of the boat a couple shakes and it was on , but the fish were getting smaller as it got darker. We caught fish right till dark. It was a great day overall, but it was tough for bigger bites today. Look for rainy days or 2-3 days of stable weather to pick the bite back up. 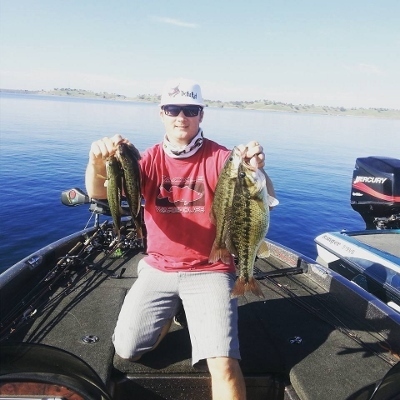 These fish will soon move deeper and Jigs, Tubes and Drop shots will pick up, but at Lake Camanche there’s always fish shallow at some point in the day! Good Luck!